Please note the back of the bar may have a smooth or waffle finish. Engelhard silver bars are vintage products that are no longer in production, and their cast bars are very popular with collectors and investors because of the rich history associated with the brand and the quality of its products. Bullion Exchanges offers you the rare opportunity to own these bars today! These 10 oz Engelhard Cast Silver Bars are made from .999 fine silver and possess one of the most iconic names in the silver bullion world. 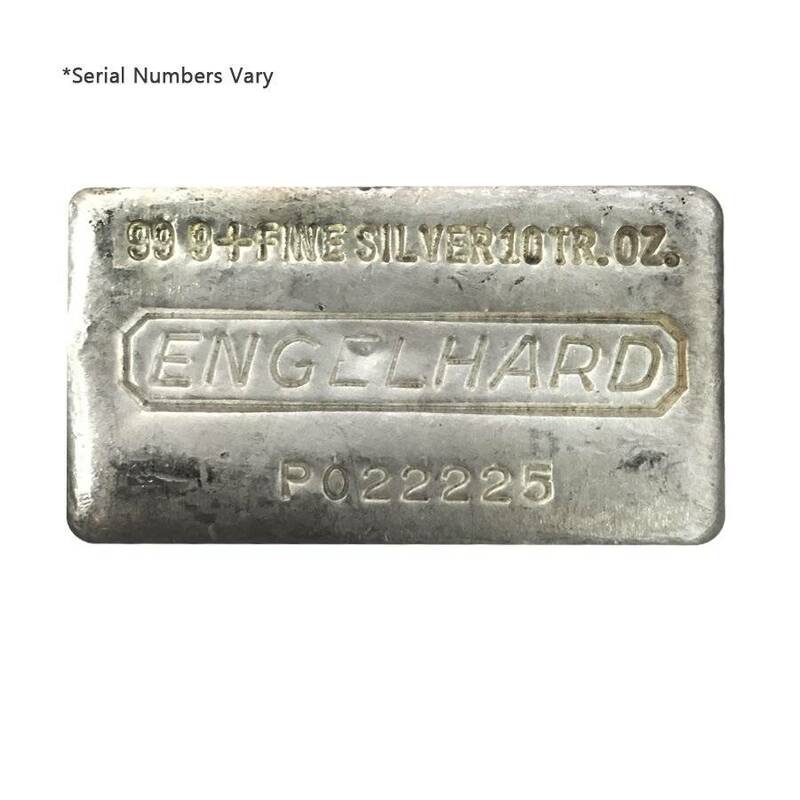 Engelhard has been an easily recognizable brand name by investors and bullion enthusiasts since the early 20th century. Most of these 10 oz cast silver bars have a beautiful waffle pattern finish on their back, however, this may not be the case with some bars in the 7th series. Certain bars feature a smooth back surface. 10 oz. 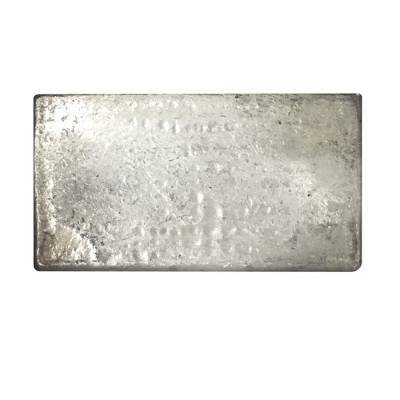 Engelhard silver bars are the standard choice amongst many investors. These bars are part of the very important 7th series that have an approximate mintage of 50,000 remaining ingots. The obverse features the weight and purity: “99 9+ FINE SILVER,” “10 TR. OZ.,” and the brand “Engelhard.” It also includes a serial number printed below the Engelhard name with the P mint mark. The P mint mark represents the Plainville facility in Massachusetts that produced them. Bullion Exchanges is proud to bring you this rare 10 oz. 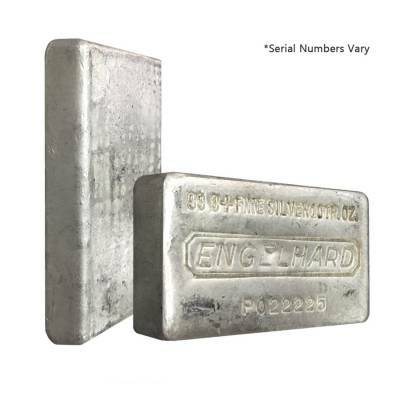 Engelhard Cast Silver Bar. Add this historic bar to your collection today, and it will be carefully packaged and safely delivered to you. For any questions, please send us a message through our convenient web chat feature or by sending us an email to customerservice@bullionexchanges.com and our friendly associates will be happy to assist you. For every $1 spend, you will earn 1 Bullionaire Buck which is equivalent to $0.001 off a future purchase. 242 BB = $0.24.